My annual Swiss holiday in September started off in Italy with a couple of busy days wandering around a delightful if busy and noisy park near Milan as well as taking in a famous meal scene in the centre of Milan. 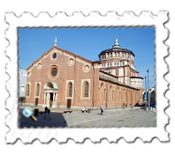 It proved to be one of my most enjoyable Grand Prix weekends which took in the Italian Grand Prix at Monza and, on the morning of the race, a visit to the Basilica of Santa Maria delle Grazie to witness Leonardo da Vinci’s painting of The Last Supper. Milan proved to be a most enjoyable, interesting and beautiful city. 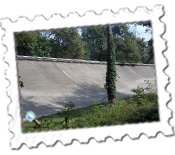 The Monza park, home of the Italian Grand Prix, is in a spectacular setting and, whilst Monza Railway Station might seem a logical place to head for, a further station at Biassono-Lesmo, is actually far more convenient – naturally dependent upon where you choose to sit or stand. I bought the good value general admission ticket for around 80 euros and was watching the action within five minutes of getting off the train at Biassono-Lesmo. This section offered decent views of the track and photos were possible easily enough. I say possible if only because, with a modest digital camera, there’s more error than trial and I missed rather more than I took but nonetheless got some reasonable shots along one of the long straights. Perhaps the highlight was seeing the old section of the track with long, sweeping curves which still look terrifying. My God, Health and Safety would have a complete field day if confronted by these sharp, rising bends. One mistake and every likelihood of ending up in the trees but these parabolicas were used in the days when there was little safety in Formula 1. 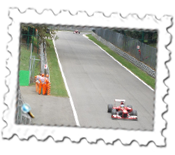 It was fun being at Monza and worth the early morning starts to fit everything in. 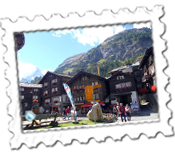 I continued into Switzerland after the Grand Prix via the border station of Domodossola and arrived in a very wet Zermatt at 9.30pm. I tend to stay at the Antika Hotel: it’s extremely decent value and, whilst I put up in their annex, guests can avail themselves of their spa and there is also an adequate breakfast. It is very central which makes it such good value. There being so much to do in Zermatt and, on this occasion for me, just two days to go walking, I took my favourite walk to the right of the valley from the gondola station at Schwarzsee and ambled about for four hours going towards the mountain hut of Schonbielhutte before walking leisurely down to Zermatt via the hamlet of Zmutt. The weather initially hadn’t promised much but became rather pleasant. 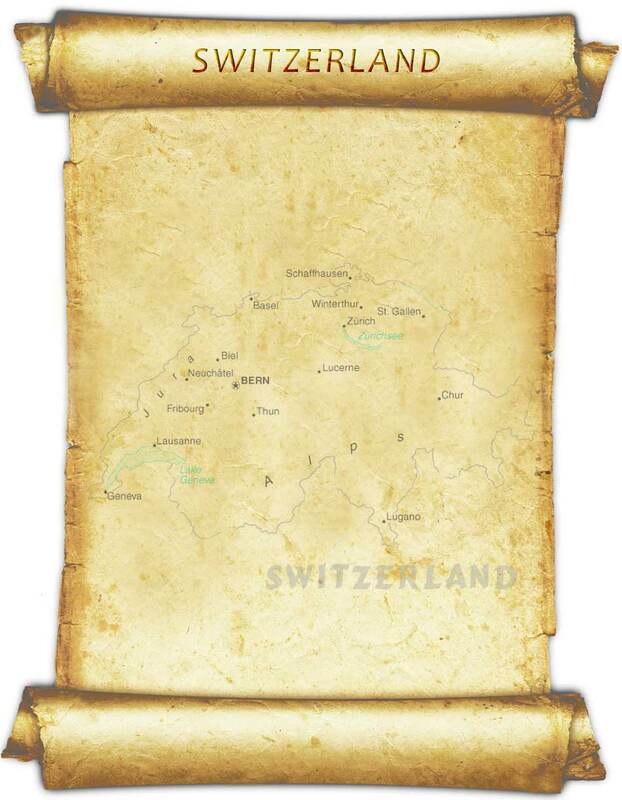 Zermatt always seems a more reliable bet for weather possibly because of its proximity to Italy. Tuesday’s walk was somewhat ruined by the closure of part of the Europaweg route which stretches from Zermatt to Chamonix. 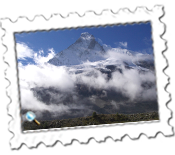 It is a high walk with outstanding views of Zermatt and the nearest town which allows cars, Tasch. Well, these electro-type vehicles ply the streets of Zermatt and, personally, they frighten the life out of me and I’m forever watching out for them because, with my poor hearing, I’m not confident that I won’t be run over by one. 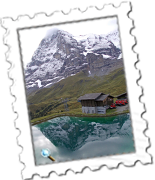 I moved on to Wengen in the Bernese Oberland and stayed once again at the excellent, four star Silberhorn. Cornelia Thierstein and her colleague, Jasmin, are always extremely kind to me and it was a pleasure to meet Jasmin this time and speak to her in German for forty minutes ( and remembering essentially to keep my hands by my side whilst still being untethered!) 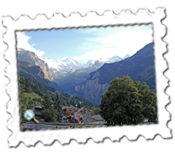 The Silberhorn is one of three hotels in the Wengen Classic Hotel group the others being the Wengenerhof, a delightful, flower-bedecked four star hotel in a quiet position and the Belvedere, a three star with a formidable five course buffet where I always eat. The staff are great fun and, now that I know them and they me, one waitress inflicted terrific mental anguish upon me. Asking me how last year’s trip to India went, she returned to ask where the bracelet I’d promised her was... 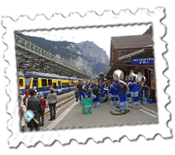 It wasn’t, I’d forgotten it completely, later found the note in my diary recalling the event and I felt awful – whilst other English guests delighted in my faux pas – especially as the girl came back saying that even the chef remembered me promising it. The next day, the delightful manageress, Natasha, came and spoke to me and I mentioned it: she knew too which led me to ask if anyone didn’t know. Apparently few and I found myself with quite a captive audience. 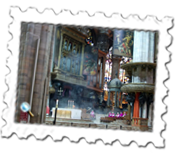 So, there we go: I shall have to return next year for the bracelet-giving ceremony but it’s hardly a hardship and a good reason to return. Don’t be fooled by this, though: the staff at the Belvedere are great fun and this little episode was enjoyed by all of us, myself included. Eventually. 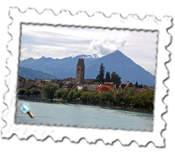 Many of the people I have met in Switzerland have been there on many occasions and, even after so many visits myself, I still learn a lot about different walks and have more ideas for next year. My walks this year were fairly routine – okay, fairly flat – but nice. 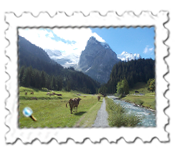 The easy walk from the Mannlichen to Kleine Scheidegg and down through Alpiglen to Grindelwald is a lovely walk even if, towards the end, I saw a perplexing sign advising walkers not to feed the moose or bears should you come across one. Okay, I’ll watch out next time. 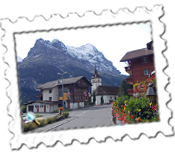 One other delightful walk is from Grosse Scheidegg to Meiringen which essentially amounts to the Sherlock Holmes route through the rustic Rosenlaui and via the Reichenbach Falls. It seems far away from the modern world and, on a good day, is lovely. I always find it a wrench to come back after a week in Switzerland. This year’s trip was amongst the best. Certainly, the weekend in Milan set it up and coupled with a lot of fun, a lot of German, good and fun company and the excellent facilities of the Wengen Classic Hotels, it was a terrific week and I only hope that it won’t be another year before I’m back in Switzerland.